From clothing boutiques to specialty shops, Medina's thriving business center is the lifeblood of the town. Our business owners do more than provide goods and services: they are truly an integral part of the community. We invite you to peruse and visit their place of business to see what we mean. 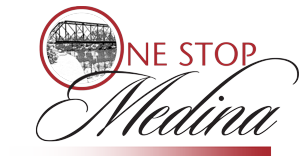 We're proud to say Medina's business community are truly our neighbors and friends, just as likely to ask after your family as they are to sell you their wares. It's amazing how varied and unique you'll find Medina's shopping to be. So many places to shop, so little time...Don't see your favorite store? Just let us know! Contact us, and we'll be sure to add a link.